The police station of the First Settlement in New Cairo assembly, was notified of the dead body from Basma Abdulaziz, a company manager and resident. The woman was on her way to perform the Maghrib prayer at Amr ibn al-Aas mosque in Madinaty, when she stumbled upon the body of the child inside a rolled up in various materials. Police detectives inspected the scene where the body was found, the corpse was for a a full clothed little boy, with various injuries including, bruises on the face and eyes, sporadic injuries to the body and redness on the left thigh. The victim was identified as one and a half year-old Mohamed. 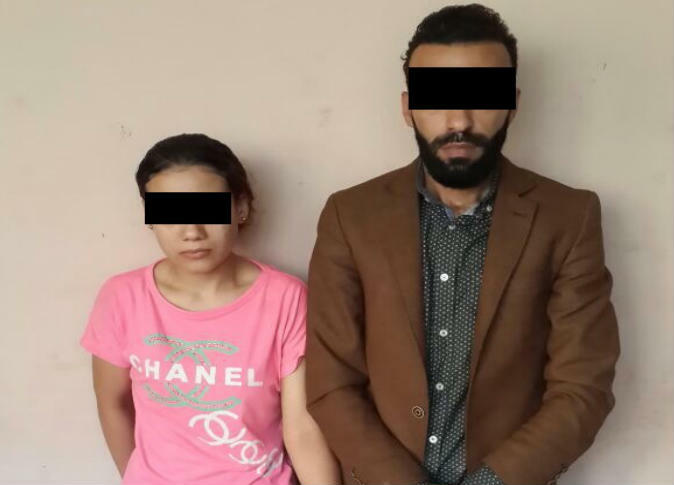 His mother, Al-Zahra, a 25-year-old college student, and her husband Medhat, 26, unemployed, previously accused in two cases, injured the the victim together by beating him. The man and the woman are known for taking drugs. Police have arrested the mother and her husband, in possession of three grams of heroin. They confessed to the crime. The mother said that her son made so much noise while playing and it angered the couple, resulting in a disciplinary beating. Mohamad hit his head against the wall and died. She added that they had decided to get rid of his body for fear that their crime might be discovered. They wrapped the body in a bed sheet, then plastic bag, and took a taxi from her home to the mosque where she left the body. The second suspect, confirmed the incident and his role. The taxi driver recognized the first suspect and admitted to driving her from in front of her house, with a large bag that she has told him was charity meat. He added he drove her back without the bag.